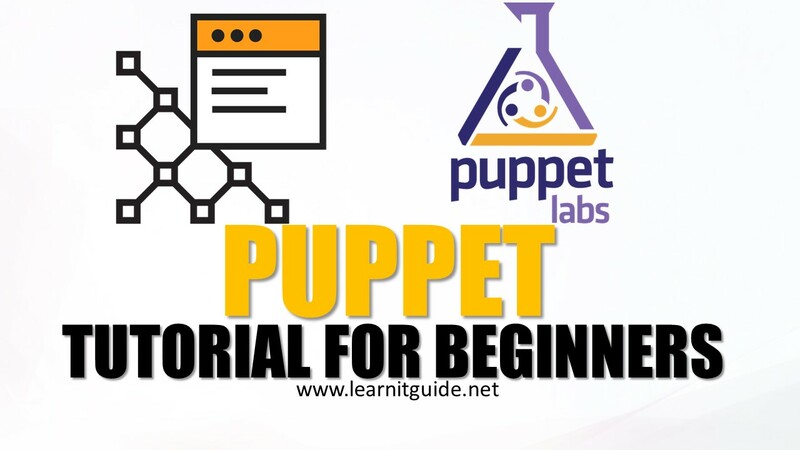 Learnitguide.net really glad to help the beginners who are interested to learn the Puppet Configuration Management tool from basics to become an Puppet automation administrators. So links are arranged in order to take you in a clear direction to follow. Go through the below links one by one to understand it easily from beginning. Video also available for some topics. Make use of it. This would be very useful to the beginners. Please invite your friends and share with your groups. We appreciate your feedback, Leave your comments if any. 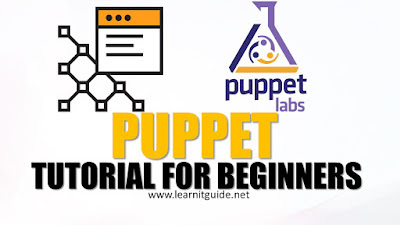 Basically Puppet is a configuration management tool available as an opensource and enterprise versions which allows system administrators to automate the provisioning, configuration and management of a server infrastructure. Puppet enables system administrators and DevOps to work faster and smarter. At the end of this, you will understand the below topics. 3. How does Puppet Works? 5. How the Puppet connections are getting established between puppet master server and Puppet agent nodes? 1. How to enable Puppetlabs repository on Linux servers? 2. How to install Puppet Master packages on Linux? 3. How to configure Puppet master server on Linux? 4. How to Generate the Certificate from the Puppet master server? 5. How to install Puppet agent Linux nodes? 6. How to configure Puppet Agent Nodes on Linux? 7. How to generate the signing request Certificate from Puppet Agent Nodes? 8. How to sign the certificates of agent nodes from puppet master server? 9. How to verify the certificates signed properly or not? 1. What is Puppet Manifests? 2. Why do we need Puppet Manifests? 3. What is the Syntax of Puppet Manifests? 4. How to write a basic manifest file wth realtime scenarios? 5. How to automate the changes using puppet to all infrastructure servers? 1. What is Puppet Modules? 2. Why do we need Puppet Modules? 3. Do we really require programming Language for writing puppet modules? 4. What is pre-existing puppet modules? 1. How to install Puppet modules offline? Also download 100% free eBooks related to Puppet DevOps tool.